AimprosoftBlogAlfresco InsightsHow to make an electronic health records system? They say the health of a nation is its wealth. Indeed, the government invests generously in the complex health improvement programs. However, these measures are insufficient without improving the quality of healthcare services. In 2009 the US Government passed The Health Information Technology for Economic and Clinical Health Act (HITECH Act). It initiated the demand for EHR software development services. The implementation of Electronic Health Records Systems was viewed as a means to combat the inefficiency and low productivity of healthcare workers and reduce the number of medical errors. 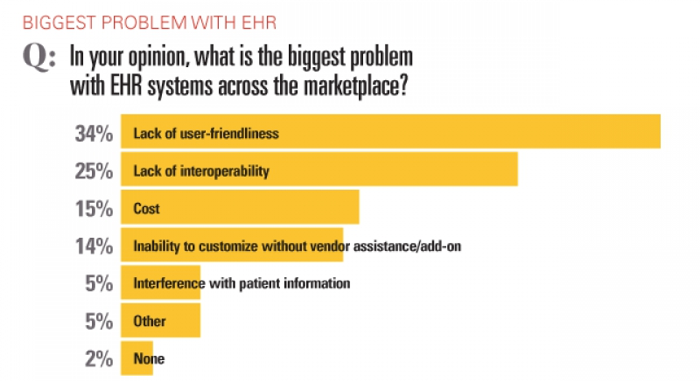 Regardless of its undeniable advantages such as improved collaboration between a physician and a patient, more reliable prescription, the access to the complete medical history, and more efficient care, not all clinicians generously welcomed the innovative technology, be it EMR software or EHR system. So what are the complaints of medical staff? How to eliminate them so that the system could assist in the treatment of the patients with different care needs? How to make an electronic health records system that will satisfy the latest requirements? You will find the answers in this article. In 2017 statistics showed that 67% of healthcare providers used electronic medical records for better medical assistance. However, the overall level of dissatisfaction with the services is alarmingly high. 78% of clinicians stated that the implementation of electronic health records systems had fallen short. Before we breakthrough main challenges concerning EHR systems that influence the doctor-patient relationship negatively, let’s clear up the difference between EHR and EMR software. Well, Electronic Medical Records software, also known as EMR software, is a digitized version of a patient’s paper chart. Here the records are related to the medical history and treatment of a patient in one particular medical facility. It supposes difficulties in sending the medical data to other medical institution if any. At the same time, EHR development focuses on exchanging medical records seamlessly between different practices. 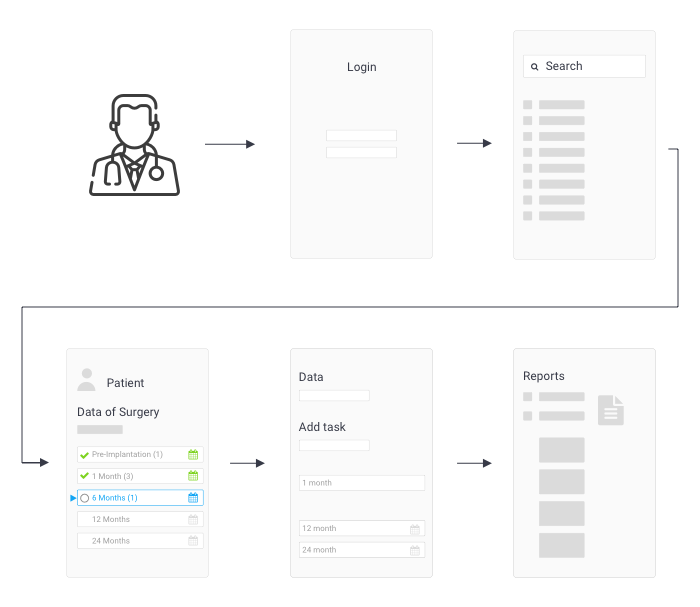 It allows getting a holistic view of a patient’s medical history resulted in better healthcare services in contrast to the EMR software purpose. The data breaches in healthcare have disastrous consequences: annual damage of $6.2 billion, patients’ mistrust leading to the loss of potential revenue and litigations against the medical facility. Thus, security becomes the first and foremost challenge when it comes to developing of an EHR software project. Add audit trails to the list of the system features, restrict the unauthorized users from accessing the system and provide each user with a secure password and a personal ID to prevent the catastrophic outcomes. Besides, it would be wise to check the EHR software compliance with the requirements. The cost of electronic health records system and EMR software raises concern. The main argument against such systems is that hospitals cannot risk going bankrupt because their budgets had been blown by iterative upgrades, maintenance needs, and large vendor fees. The right digital platform can cut down the expenses in the long run due to reduced paper usage, supplies, and storage costs. Moreover, according to the recent study, the number of paid malpractice claims is reduced from 10.8% to 6.1% after implementing the EHR software. These findings give another reason to be hopeful. The medical facilities often fail to determine expected features when they start thinking how to build an EHR system. As a result, the system contains lots of unnecessary functions and complicated UI. The medical staff has to spend a lot of time learning how to use it properly or even waste time looking for particular forms. That is why the most experienced and qualified clinicians should participate in choosing the features essential for providing better care. Transfer of the paper-based healthcare records to the EHR or EMR software leads to confusion. The medical documents are duplicated, mixed up, and lost. Moreover, the clinicians start feeling burnout while sorting out the information. It causes productivity and concentration loss. Medical malpractice has catastrophic consequences ranging from the legal sanctions and license revocation to the fatal outcome. For example, a vendor consultant can help to overcome information overload with a training session on electronic health records software usage. The lack of interoperability may become a stumbling block that hinders the communication between medical facilities. The Office of the National Coordinator for Health Information Technology within the U.S. Department of Health and Human Services released a Shared Nationwide Interoperability Roadmap to enable different healthcare providers to exchange the lab results, clinical summaries, and medication lists seamlessly. It makes sense, for example, when a patient relocates, and a new doctor can receive his health records from the previous specialist in seconds. This smooth data exchange is the key benefit of the EHR system in comparison with the EMR software tied to only one medical facility. You have learned what difficulties may arise in the process of implementing medical software and how to prevent them. It is high time to discuss the core features of ECM for healthcare. Think of the primary needs of your clinical institution. Is it need to improve its operational efficiency? 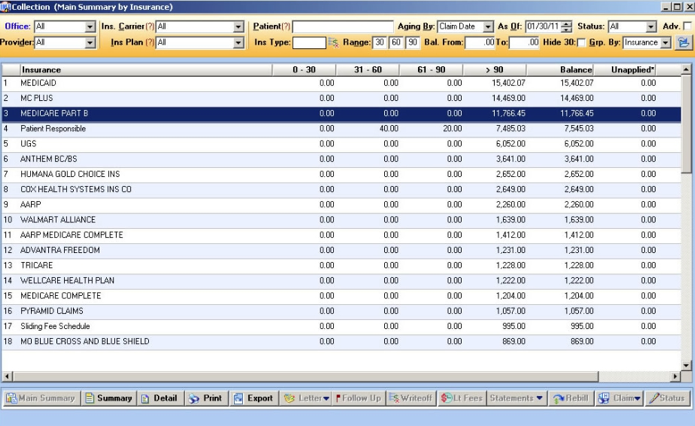 What about billing processes? Is it smooth and straightforward? Take the offered list as a starting point and modify it following the requirements of your facility. Electronic document management. Doctors want to work with health-related records easily. Storing clinical histories, medical assessment reports, lab results, or any other information related to patient treatment in an EDM system helps to deal with that. Task management. Intelligent task management workflow helps clinicians to increase the work productivity. They can sign notes, analyze the lab results, track the patient’s progress and, as a result, deliver better care. E-prescribing. This is the fastest way to send the prescription to the pharmacy. It ensures that the patient will get the right medication on time. With the integrated decision support system, the prescriber can conduct a Drug Utilization Review and get the warning about allergies automatically and medical conditions which prevent the patient from taking a particular drug. Role-based access control. The Dean of the Hospital, hospital administrators, specialist surgeons, and registered nurses have their duties and responsibilities. role-based access differentiates their level of access to the information and keeps tasks in order. Lab integration. The seamless collaboration with the lab technicians and the ability to review lab results in the EHR software streamline immediate treatment. No one precious minute will be lost. Electronic communication. Integration of electronic devices into the hospital care practice concerns accelerating assessments, diagnosis, an arrangement of appointments, exchanging medical records and other nursing tasks. Therefore, it is critical to take measures to guarantee secure and confidential digital communication when you are going to build your own EHR solution. Clinical dashboard. Doctors use it for creating templates and order sets. They fill in forms during the patient visit and reuse them for treating the patients with the similar symptoms. Besides, a doctor can review all data concerning the medical condition of the particular patient and make the right decision. Patient scheduling. Well-structured, convenient schedule helps clinicians to organize the medical encounter more efficiently. It sends notifications to the patient’s smartphone so that he could always know the exact date and time of his appointment. Patient support. Online communication tools, for example, an integrated chat, improve the communication between patients and their doctors. The ability to ask urgent questions or describe new symptoms prevents the possible complications and reduces the recovery time. Reporting. The drug interaction reports, diagnosis registry, and billing reports are available to the clinicians with the reporting section access. Some medical facilities create a separate tab the dashboard for Meaningful use reporting. 24/7 access. You will never know what gadget medical staff will use for accessing the EHR and what situation will be. Therefore, the 24-hour access is a must for providing emergency assistance. Cloud hosting. It quickly became a new trend. The following business benefits as flexibility, security, disaster recovery, and improved collaboration attract more and more organization, including medical facilities with each passing day. Intuitive user interface. The right EHR software should be accurate, efficient and simple enough. Clinicians appreciate drag-and-drop capabilities, aesthetically pleasing design, and minimalistic screen opening. They can focus on treatment and care. The list of essential features for the EHR software does not end there. There are some other vital solutions that are necessary for clinics’ operation and patients’ well-being. The patient portal is a platform for communication between the patients and their doctors. It enables patients to fill in intake forms, new patient sheets, and mental health intake forms. Thus, each nurse saves at least 15 minutes she usually spends on each patient intake. With the help of the portal the patient’s schedule appointments, see the lab results and learn educational content on disease prevention online. A doctor-patient interaction is a small part of the complicated system of information and payment. The medical billing system is designed for simplifying the payment process. The medical billing system guarantees that the healthcare providers will be compensated for their services. The service makes the bill creation much easier, especially when it can autofill the bill with the procedures and services in the patient’s chart. The medical billing and medical coding are closely interrelated concepts. The disease, injury, treatment, physical exams finding, and the prescribed procedures should be transferred into a specific alphanumeric or numeric code before creating a claim that will be sent to the insurance company. Therefore, it would be wise to ask the company that you have chosen for developing your EHR software about the compliance of their system with the management documentation standards. This approach guarantees that the clinicians will get the compensation for the rendered services. We defined the list of features required for improving care coordination and patient outcomes. Our next step will be showing the benefits of Alfresco as a reliable vendor for creating the EHR tailored to the needs of your medical facility. More than a decade of our experience in Alfresco development give us reasons to believe that this platform is well-suited for EHR web development or creating a stable EMR software. Here is why. If you have ever been in the hospital, you witnessed how the expertise of a particular medical professional saved human lives. The communication between the specialists from various departments sometimes is left unnoticed. However, the clinical collaboration is the key. Unfortunately, not all medical institutions manage to maintain it at a high level. Four years ago we happened to help one American hospital improve communication between the medical staff engaged in postoperative care. The hospital management wanted to get these problems straightened out based on the existing Alfresco solution. During the project kickoff meeting, we suggested creating a special widget to show surgeon members of the surgical team who operated, the patient’s history, and milestones. Each milestone had a list of tasks with the detailed information regarding their date, main point, and a responsible person. The widget also allowed reviewing the newsletter that was sent to the patient, its date, and sender. By clicking the report, the doctors could see all reports available for this patient. This is one of the examples of Alfresco business process automation and content management. Alfresco ECM solution helped to make a clinical collaboration more transparent and store updated health information securely. Both clinicians and patients can access it at any time from any device. For a long time, the clinicians from different departments could not view the patient images simultaneously since each of them had to log in to a separate system. This obstacle resulted in the communication gaps between the medical professionals. That is why a vendor-neutral archive became such an essential technology. A vendor-neutral archive is a technology for storing the medical images in a standard format and interface so that all authorized clinicians could access them regardless of the implemented medical imaging system. Alfresco offers a repository for accumulating the medical images, e.g., mammography, computed tomography, radiography, and X-rays imaging. These files can be stored in different formats and easily shared between various Picture Archiving and Communication Systems (PACS). Users can view the particular images right in the Alfresco-based electronic health records system that improves productivity and enhance patients care. Business process automation has become widely adopted recently. The healthcare reform and growing competition made the providers of medical care look for new ways of reducing the costs. 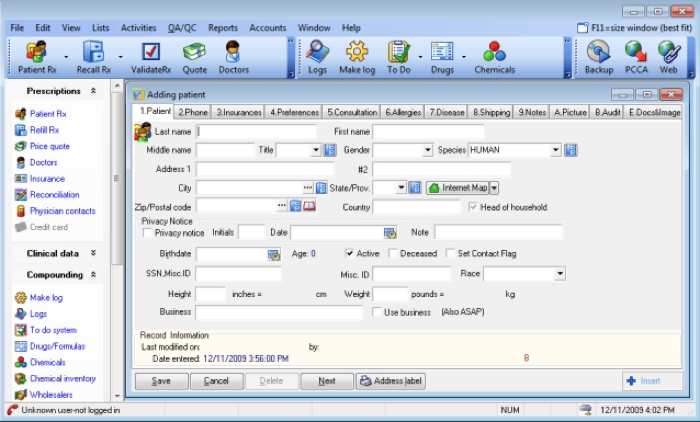 The electronic medical records, computerized physician order entry, and clinical decision support systems were developed to streamline the information flow. FormFactor solution for Alfresco-based projects allows creating and managing digital forms and thus, reduce the number of laborious paper-based processes. Patients who will be freed from repeated form-filling will become more satisfied with the healthcare services. Medical facilities will be able to modernize each step of the long clinical process starting from a patient’s intake to his discharge. The average general practitioner in the UK sees 41 patients per day. One of five family doctors gives more than 50 consultations a day. These figures exceed the number of consultations recommended under the European safety guidance. It is not surprising that the clinical visit notes, laboratory results, and medical examinations reports may be lost frequently. Alfresco ECM stores the health-related files in one place. Since the indexing of the documents is more accurate doctors spend less time searching and reviewing clinical notes, patient files, and scans. Content Management capabilities of Alfresco are not limited to storing clinical information only. The platform can be used for handling the HR and administration files and documents. That is our views on how to make an electronic health records system. It is up to you to make the final decision and choose the right vendor who will develop an EMR/EHR solution for you. We are open to highlight things behind EHR core features and how to cope with industry difficulties. Contact us, and our Team Lead on electronic document management and business process automation systems implementation will consult you.